Jo Reynolds (centre) featuring in a Fiorentini + Baker Campaign. Photgrapher James B Young. Jo Reynolds had her sights on becoming a fashion designer when she was accepted as a student at the prestigious London College of Fashion way back in the 90s. But when the opportunity arose to study fashion journalism and promotion, Jo took a detour and grasped the opening with both hands. Two decades later and after years of working for PR agencies, Jo is still thrilled with her choice after finally launching her business Jo Reynolds PR;http://www.joreynoldspr.co.uk/. 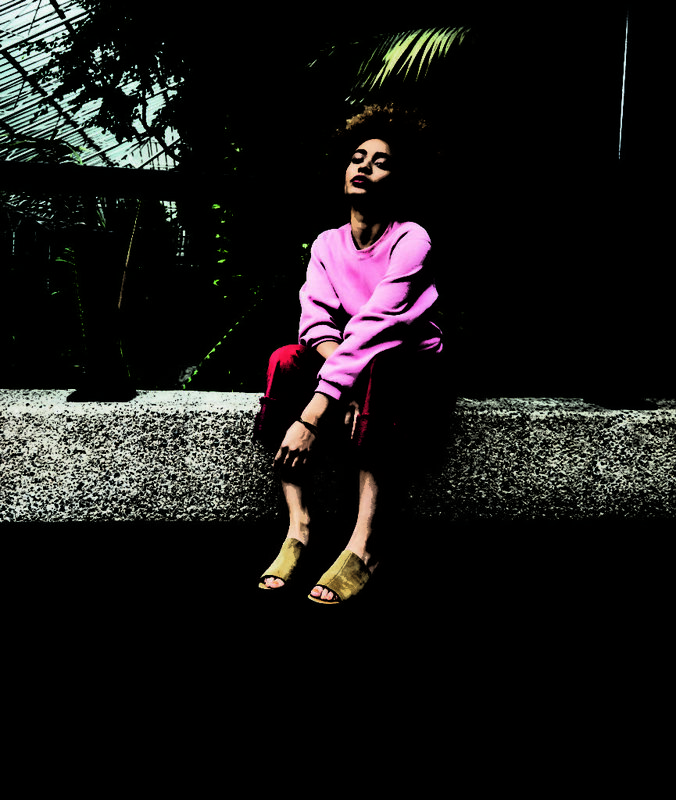 In this interview Jo captures the excitement she feels every time she promotes a new label or works closely with her fashion heroes. Can you explain what you do in the fashion industry and more about your company? I work predominately with high street and premium fashion brands. My role is to ensure each client is positively publicized within traditional media such as Elle, InStyle, Marie Claire, Grazia, Vogue etc and on social media. Creating brand awareness directly to our clients’ target markets is imperative to the success of the brand, so it’s important for me to manage the objectives and expectations of the clients. I started my consultancy over 5 years ago, following many years of working at London PR agencies. I’d learnt so much that friends in the industry said I should go it alone. When the opportunity arose, I finally made the leap. All of my clients have been different in one way or another and the requirements for each client keep my days interesting. My company works strategically with clients on a tailor made offering that suits each individual brand. Some clients want profiles on the owners as I did for one client very successfully – designer Deborah Baker from Fiorentini + Baker. (As seen on the front page of Homes & Property). Others are looking for product placement in magazines or want digital strategies or even to engage fashion bloggers, or event management for a big launch. The variety is endless. 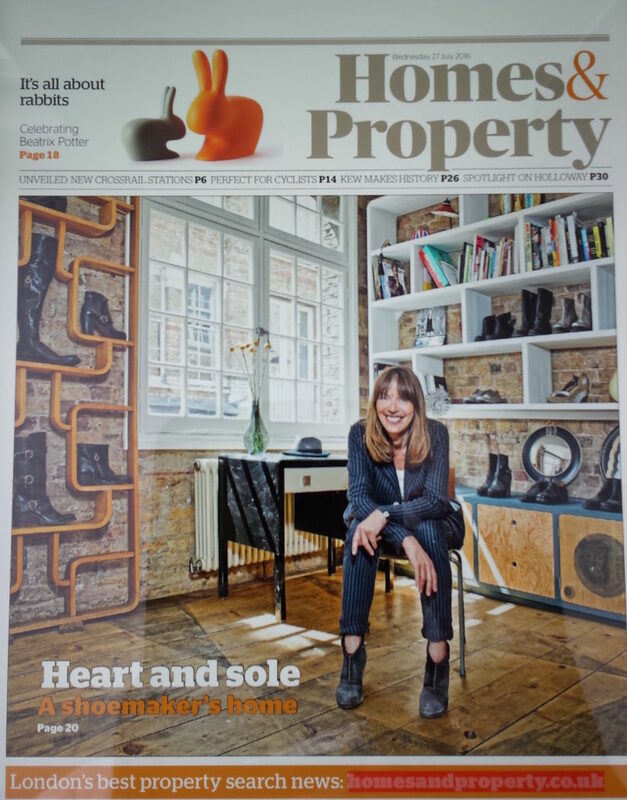 Front Page Cover of the Evening Standard’s Homes and Property. Photographer Adrian Lourie. How did you get started? Do you remember your first job? I always had a great love of fashion from an early age. I remember my older sister was very fashionable and with my Mum being a dressmaker, she would make my younger sister and I the very latest designs before any of my friends had them. My mum taught me how to sew so I started making wonderful ‘Dallas’ style clothes for my sister’s Sindy doll. I think that’s where all aspiring designers start out! I went to Art College after leaving school to study Fashion Design and followed that by being accepted into the prestigious London College of Fashion (LCF) where I decided on another path away from fashion design and studied Fashion Journalism and Promotion. At that time, back in the early 90’s, LCF was one of only 2 colleges that offered the course, so I was very lucky to get in. At LCF we were given the opportunity to do a work placement. This was the starting point for networking and making good contacts that could help me in the future. I was interning for a PR agency and he knew the PR & Sales Director at designer Ben de Lisi. I worked one day a week whilst I was at college for over a year. They couldn’t afford to pay me except for my travel and lunch expenses but they gave me clothes instead, which I still have (and thankfully still fit). Through Ben de Lisi I met and did an internship for the PR & Sales Director at shoe designer Patrick Cox. This was an incredibly exciting time due to the launch of the famous ‘Wannabe’ loafers. That’s when they created a job for me as Press Assistant and then I got a promotion to Press Officer a year later. It was an awesome first job! Who are the big names in fashion whom you’ve worked with? Patrick Cox and Ben de Lisi are probably the biggest designer names. However, I’ve worked with other high profile and established fashion, sport and consumer brands including Ben Sherman, Evisu Jeans, Nike, Levis’, Etnies, AG Jeans, Jeffery West, Duffer of St George, Johan Lindeberg, Tiger of Sweden, Sophie Harley, Miss Sixty, Cartoon Network, Fosters Lager, Dr Martens and Tesco to name a few. Is there a particular project that stands out for you? In terms of recent successes since starting my business, I’d definitely say the Pop Up store in London’s Boxpark for one of my current clients is my favourite. Vagabond is Sweden’s No.1 shoemaker. They design and create wonderful shoes and bags at high street prices, priding themselves on style, quality and cost. They don’t have a bricks and mortar store in the UK so as part of the overall marketing strategy in creating brand awareness, I suggested they launch a pop-up shop in London which they agreed to. The reaction and the interaction I experienced with customers at the store was fantastic, so much so, that the clients are currently in the process of looking for suitable space to open their first standalone London store. It’s a project I’m particularly proud of. Do you work with smaller brands as well? What attracts you to a particular label? I love working with smaller brands, in fact I started my business with one client who was just about to launch a new children’s wear brand called Isossy. I’ve worked with other small unknown brands too and helped elevate their profile through great editorial in the best magazines and placed products with key influencers and bloggers. What I find really attractive and satisfying working with smaller brands is that you can see the development of the brand, not just with the customer, but also the media’s reaction to it. Experiencing other aspects of their business and having an input, such as selecting trade shows, advising on visual merchandising, which stores to sell to, sales, marketing etc isn’t necessarily something you’d experience with a larger brand. You are working directly with the owner/designer rather than with a middle person, which helps when decisions need to be made quickly. I love the energy and charisma of designers as their enthusiasm understandably rubs off on me and so you feel passionately about the brand and really want it to succeed. I understand you also teach fashion marketing at the Fashion Retail Academy in Central London. What do you learn on such a course? What skills are you looking for in a student? I’ve been teaching at the Fashion Retail Academy; (http://www.fashionretailacademy.ac.uk/) since 2009. It was created to give students an insight into what Fashion Retail is all about. There are numerous things going on behind the scenes such as Marketing, Visual Merchandising, Buying, Merchandising and Graphics in additional to the ‘shop floor’. Since its inception in 2005 the Academy has developed and now includes Fashion Design, Garment Technology and Digital Marketing amongst other areas. It’s hard to define exactly what skills we look for in a student as this manifests with time, but ultimately we want students to feel passionate about fashion. It’s not just a case of loving shopping, but more importantly to really know who the designers are and what’s happening in the industry as a whole. When I teach, I encourage each student to present a new marketing story at the beginning of the lesson, whether it’s a celebrity who is the new face of a particular brand or a new brand is breaking into the UK market. This is to encourage them firstly, to read trade publications and generally keep up with the changes within the industry as it’s so fast paced. Is fashion marketing hard to break into? I’d say fashion in general is hard to break into. I think any student now must face a period of doing internships to make a mark. Sometimes it’s about being in the right place at the right time as it was for me. Being a good, reliable and flexible worker pays dividends when it comes to being remembered for recruiting. I’d certainly advise getting into Digital as this is the way forward. Fashion brands talk about going digital, but don’t quite know how to do it. If your core strength is in Social media then it’s an extra skill that could set you apart from the competition. As an outsider, we only see the glamorous side of fashion marketing and the fashion industry and sometimes the excesses eg Absolutely Fabulous! Of course, we know the comedy series is merely poking fun at the industry but paint a picture of a typical day for you? My day is anything but glamorous! Most days I am sat at my computer responding to email requests, either a magazine needs me to send out products for their fashion shoots, or they want to interview my client Deborah Baker from Fiorentini + Baker. ‘Selling-in’ stories to journalists about a new product, a new store opening, a brand anniversary to encourage a write-up about them are also part of my working day. Chasing up credits and editorial, creating e-shots and then following up on what the fashion teams are working on are essential elements of my day to day role. Researching fashion bloggers we may want to work with now or in the future, and placing them with products is all part of the growing strategy. Throw in some copy writing or proof reading for the client’s external communication and that’s how my day pans out. Occasionally, I do get invited to parties in London and I do have meetings at lovely London restaurants and swanky hotels, so it’s not all bad! Who are your fashion heroes and why? There’s probably too many to count, but Vivienne Westwood is a true icon – she has transcended the decades and been influential and instrumental across many fashion sub-cultures including Punk and I love her political stance. Christopher Bailey has to be another one for me; he arrived at Burberry at a time when the opinion of the brand was at an all time low in the UK market. His determination to reinvent and turn it into the ultimate global luxury brand that it is now, is quite an achievement. Paul Smith is just brilliant! His design ethos and his business acumen are inspiring. I met him briefly at a party when I was a student at LCF when we were at the Paris menswear shows. My friends and I managed to talk our way into his show using our National Union of Journalists (NUJ) Press cards – He’s just the nicest man in fashion. What is your guiding motto in business? What do you attribute your success to? Be realistic and be adaptable in an ever-changing environment. Know your strengths and apply them well – a happy client means a happy consultant too! I attribute my success to a positive work ethic and sheer determination, which I got from my parents. Nothing was ever handed to me. I had to work incredibly hard for many years to get where I am now and I’m a happy, focused business woman for it.